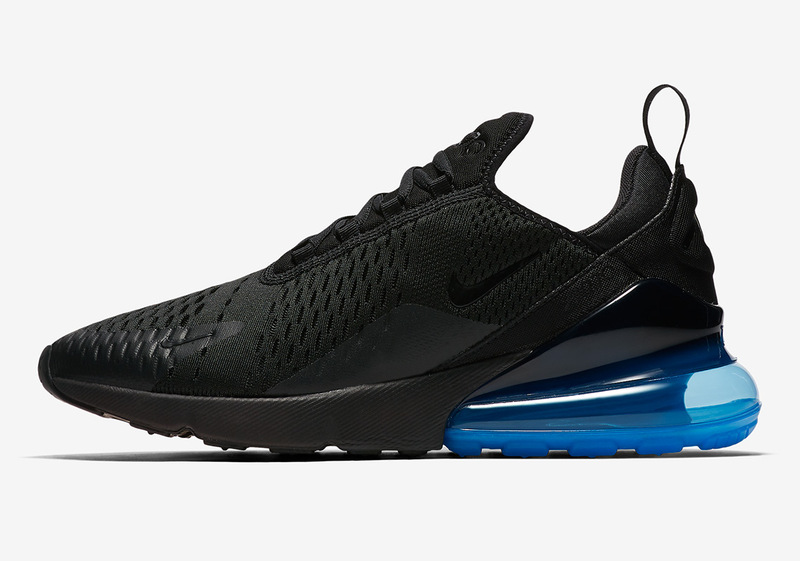 By now, Nike has made it abundantly clear what its intentions are for its initial Air Max 270 drop. Keeping things simple and easy, the Swoosh is dressing its lifestyle-engineered uppers with simplistic and tonal colors schemes and adorning its heel unit with hits of color for any mood. Ranging from volt to red, and most hues in between, fans of the newest Air Max creation will have plenty to choose from when the shoe makes its long awaited debut this week. Here you can see the brand’s tallest Air Max heel unit sporting Photo Blue – a recurring colorway in both Nike and Jordan Brand’s expansive catalogs. Head over to your local Nike Sportswear retailer or log onto Nike.com or the SNKRS app and grab your favorite pair for $150 USD this Friday, February 2nd.